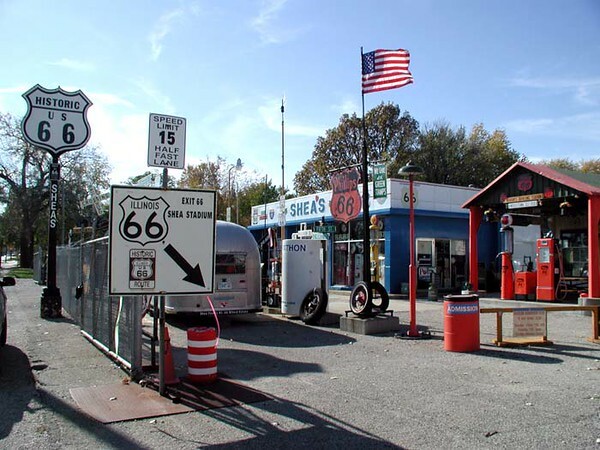 SHEA'S ROUTE 66 GAS STATION MUSEUM Springfield, Illinois Now this is what I call a Route 66 museum. The owner, Bill Shea, has been a Texaco dealer since back in the 50s and he's very proud of it. For anyone who loves to prowl around old places and gawk at old stuff, this the place for you.